Elegy by Frederick Delius, which dates from the composer's final years, was originally written for cello and chamber orchestra and also arranged for cello and piano. 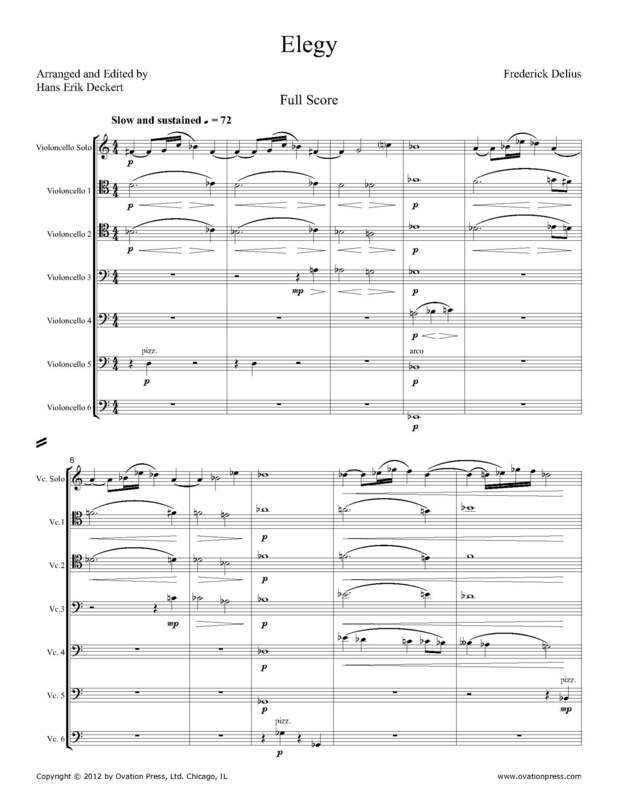 In this arrangement for cello ensemble, the solo cello is the original solo part, while the other cellos perform the orchestral parts. It is a wonderful work of great intensity with an overwhelming harmonic richness. This transcription enhances its evocative feel.